Walk the path of "The Crimson Demon of War." Samurai Warrors: Spirit of Sanada will launch physically and digitally for PlayStation 4 and for PC via Steam on May 23 in North America and May 26 in Europe, Koei Tecmo announced. Pre-orders will include Sanada Colors Costumes for “Kunoichi”, “Inahime”, “Kaihime”, and “Chacha,” as well as a Special Costume for “Kunoichi.” In North America, these bonuses are available through Amazon, Best Buy, EB Games, and GameStop. The European press release does not mention specific retailers. A historically inspired action title set in Sengoku era Japan – the storied historical period also known as the Age of Samurai – Samurai Warrors: Spirit of Sanada focuses solely on the legendary Sanada Clan. Through their fierce will to survive, they fought with upmost vigilance to ensure that the Sanada name would be withheld throughout history. The tale of the Sanada Clan begins with patriarch Masayuki Sanada, a much-requested character who joins the Samurai Warriors series for the first time. 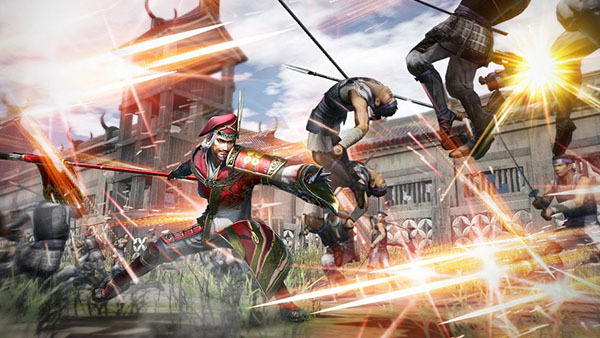 The player follows Masayuki’s first battle, trailing the clan’s meteoric rise from lowly vassals to powerful lords which led to the birth of the fan-favourite samurai, Yukimura Sanada. Continuing the clan’s legacy, players will then journey from boyhood as the legendary warrior, following his footsteps as Yukimura rises to the title of “The Crimson Demon of War.” Players will also experience the epic tale of his father’s reign and his finest battles, up to his valiant final stand at the Siege of Osaka. Watch a new trailer below. View a new set of at the gallery.